Happy 25th Anniversary to Deuce & Diane. We recount events of the day, and what a day it was. 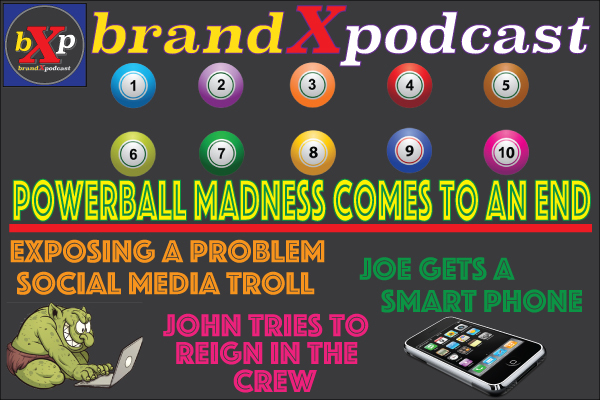 Joe pulls the trigger and buys an iPhone! The Jimmy almost broke John when John tries to walk Jimmy through email on his iPhone. ADD was raging tonight as we jump from topic to topic like car tops in a Houston parking lot. The Jimmy goes Facebook Live and John joins the show! The Jimmy makes a play for Mavis the lottery winner! John tells elevator accident stories.